Struggling with how to add code to the WordPress header or footer? Many tools and tracking scripts require you to add code snippets to your WordPress site’s header or footer. But, by default, WordPress doesn’t make it very accessible to edit those files. 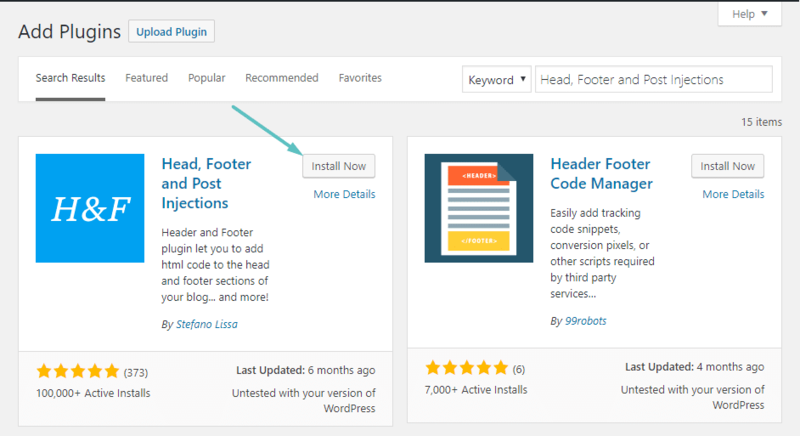 In this entry, we’ll show you how to add code to the WordPress header or footer both by using a WordPress plugin or manually adding the code to your functions.php file. For most users, the plugin method is the recommended method. But intermediate-advanced WordPress users may prefer using the manual code method, instead. The plugin makes it easy to only add code snippets to the header or footer of your homepage, which can be helpful for some uses. 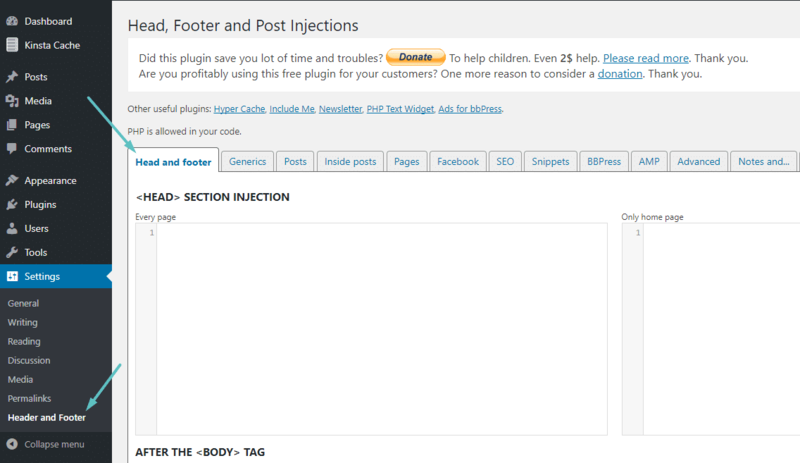 While there are several plugins that offer this functionality, we recommend the Head, Footer and Post Injections plugin from Stefano Lissa because it gives you more control than many of the alternatives. It currently has over 100,000 active installs with a 5 out of 5-star rating. Every page – adds the code snippet to the header of every single page on your site. This is what you’ll want to use most of the time. Only home page – only adds the code snippet to the header of your homepage. Desktop – despite the name, this adds code to the footer of both the desktop and mobile version of your site unless you specifically check the box for Mobile. Mobile – when checked, this lets you add a different code snippet to the mobile version of your site. If needed, you can add multiple code snippets to each box. 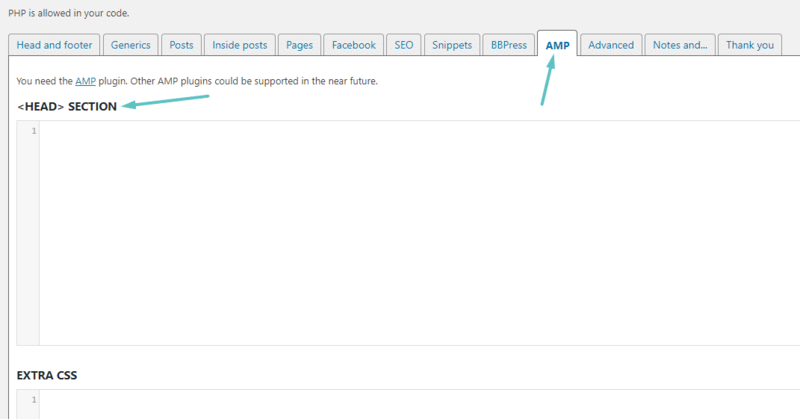 Another neat thing about this plugin is that, if you’re using Google AMP for WordPress, the plugin lets you specifically add code snippets to the header and footer of the Google AMP versions of your pages (as long as you’re using the official AMP plugin from Automattic). If you are simply needing to add different PHP functions on a site-wide basis, we also recommend checking out the free Code Snippets plugin. 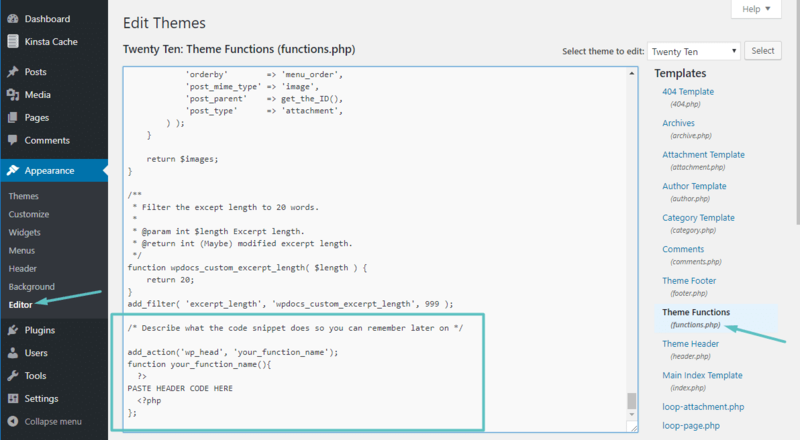 It removes the need to add custom snippets to your theme’s functions.php file. It currently has over 50,000 active installs with a 5 out of 5-star rating. If you’re not familiar with the basics of PHP, we recommend you stick with the plugin method above. The manual method might be overly complicated for you. In this section, you’ll learn how to manually add code snippets to your theme’s header and footer via its functions.php file. If you want to proceed with this method over the plugin in the previous section, it’s essential that you use a WordPress child theme to make your edits. If you don’t use a child theme, any code that you add to your header or footer will get overwritten if you update your WordPress theme. Many developers provide a child theme. But if your developer doesn’t, here’s a guide on how to create a WordPress child theme. Once you have your child theme ready to go, you can proceed with the following steps to add code to your theme’s header or footer. While you can add code snippets directly to your header.php and footer.php files, a better way is to use your functions.php file and the appropriate WordPress hook. 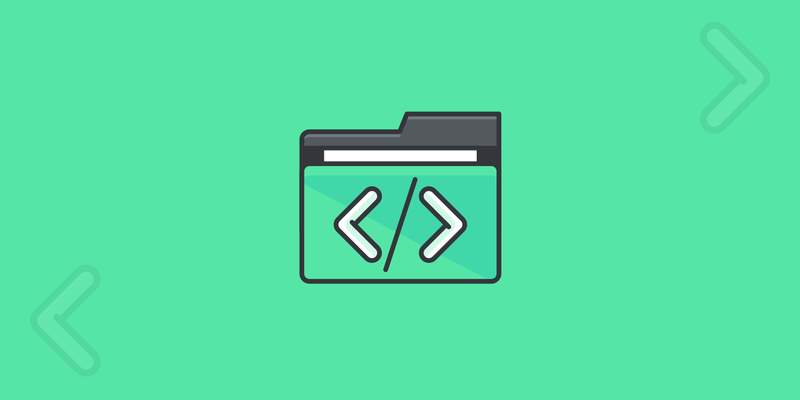 This lets you keep all your snippets in one place and avoid modifying core theme files. To get you started, we’ll give you a rough framework to add code to both your header and footer. Make sure to save your changes and you’re done! If you want more control over where your header or footer code snippets show up, you can use if statements to only add the code to specific pages on your WordPress site. Make sure to replace the example number – 73790 – with the actual ID of the post or page you want to add the code snippets to. That wraps up our guide on how to add code to the header or footer of your WordPress site. If the manual code examples are confusing, we recommend that you use the plugin method. It’s much more beginner-friendly and, most of the time, gives you just as much functionality.